Is your home maintenance “To Do” list a mile long? You keep adding to it but never subtracting because you’re concerned about the cost of hiring each contractor needed? If this sounds like you, it’s time to call Monster Contractor for your Foothill Farms home maintenance and repair needs. Our licensed, insured and professional contractors each have years of experience in different specialized trades, making checking all those repairs off your “To Do” only a phone call away. 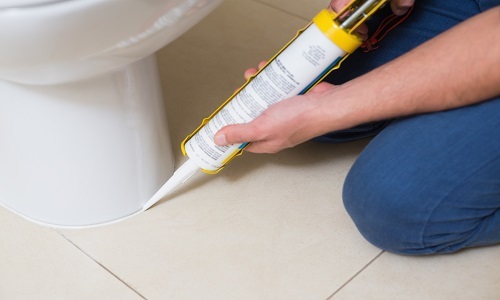 There’s no need to call multiple specialist; Monster Contractor’s home maintenance team can replace the grout in your bathroom and install a fan in your attic (or any other number of repairs and upgrades) in the same visit. Our Foothill Farms home maintenance crews can tackle both large and small projects on your list. We are a licensed and insured contractor who can meet with you to go over that list. Safe to say, all houses are made of wood, concrete and other materials that are exposed to time and use or the elements and are susceptible to damage over time. Eventually your home will suffer damages and will need repairs, replacements or upgrades. Prevention is the best medicine to adopt for avoiding serious damages, but prevention isn’t always possible. Making the time and budget for addressing repair needs as soon as they arise as opposed to letting things continue to deteriorate can save you a bundle in the long run. You might be able to build that dog house or replace that bathroom faucet, but it is unlikely that you can do all the needed repairs and maintenance on your own. There will come a time when you simply must reach out to a contractor to paint the house, address that plumbing leak or dry rot, or find out where that burning wire smell is coming from. If you do not know how to do these or other maintenance and repair jobs, give us a call. Monster Contractor offers the best services related to home maintenance and repair in Foothill Farms. You can rely us. Our prices are competitive for the market and no other company offers as great customer service as we do. Our customers frequently comment that when they call our office, we actually answer the phone. We have been Foothill Farms’s friendly neighborhood home maintenance and repair service for years, but that isn’t the only reason to call. Monster Contractor home maintenance and repair is a class B licensed general contractor, not just a self-trained handyman. We can help you with a variety of projects in your home or rental, from drywall installation and deck maintenance to faucet replacement and interior painting. At our core, we are skilled tradesmen trained in a wide range of large and small tasks. Our principals are licensed and our employees are equipped with all the expertise you need for the kind of work your residence requires. We can do anything from fixing the hole in your roof to building that premium quality dog house you got for your newly adopted dog. 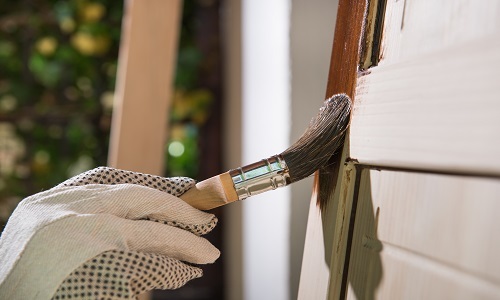 Home maintenance service is easy to put off or neglect altogether, especially for those tasks that need to be addressed more than once a year. However, if you are not careful you will end up being that house in the neighborhood that has the peeling paint, overgrown yard, and a long list of other expensive repairs that could have been prevented. If you know that you tend to get too busy or forgetful to manage such things, consider reaching out to us to handle it for you. We offer a home maintenance service for Foothill Farms which allows you to customize according to your needs for regular or periodic home maintenance and repairs. Call now and schedule an appointment for Monster Contractor, Foothill Farms’s best home maintenance service provider, to meet with you in your home and review your needs. Your Foothill Farms rental property is an important asset and maintaining it is crucial to sustaining it’s income. With Monster Contractor Rental Maintenance, you will receive the highest quality rental maintenance service in Foothill Farms for enhancing your rental property’s ongoing value. Our experienced professional staff knows multi-family homes and can handle any major or minor repair needs. High quality service, thorough record retention and online monitoring makes maintaining your rental property much easier, and that kind of consistency is what we offer. If you want to guarantee the highest rental rates for your greater Foothill Farms area property it will be necessary for you to keep your rental house in peak condition. No one will want to live in a house that looks bad or lacks required features or has clearly only every had slap-dash repair work done. Monster Contractor is ready to help you with this situation. We can professionally paint your rental house and make it look as welcoming as it did years before. Our crews can also install various bathroom and kitchen plumbing or lighting fixtures. We have a team of qualified electricians who are experienced enough to repair or install any type of residential electrical circuit. 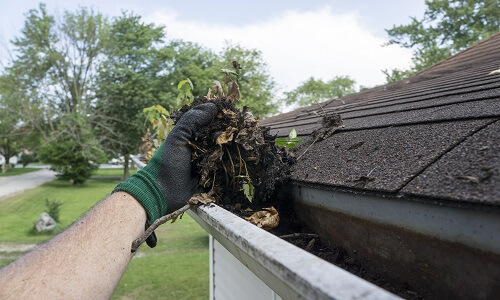 Do you have water leaking from your gutter system? That can damage the walls and eventually the foundation of your home as well. The sooner you call us the better. In many situations, every minute counts, as once it gets too late, you will end up spending much more money to get everything back to the level of quality that will warrant the highest rental rates. Attention all Tenants: Are you living in a rental home? If so, it is important for you to make sure everything remains in perfect condition so you do not lose your deposit when it comes time to move. You’ll want to notify your landlord as quickly as possible. Mention to the owners of your rental that Monster Contractor is a licensed contractor who provides exactly these kind of services, whenever you notice something that needs our attention. Monster Contractor provides the best home maintenance and repair services for all Foothill Farms CA rental homes. Monster Contractor Rental Maintenance manages some of the most desirable single and multi-family home rentals in Foothill Farms, California. You need someone reliable and consistent to work on your rental properties, to better your tenant’s living. Our attention to detail, quality of service, and competitive prices are the best ways to stay on top of maintenance and provide your rental tenants with the kind of comfort that will reduce the high turn-overs associated with poor condition rental properties. Rely on Monster Contractor for your emergency work too. Feel comfortable knowing that we can be reached 24 hours a day, 7 days a week. Your tenants will be grateful too. Our Foothill Farms rental maintenance crews will promptly address your maintenance and repair issues to ensure the integrity and safety of your property in the short and long run. We provide our clients with rental maintenance management solutions to help their rental properties operate with minimal issues, which increases desirability and enhances their investment value. Property owners understand how we can help them achieve their rental goals of profitability and property longevity. If you own or manage single-family homes, duplexes or multi-family property, call us to ensure that your repair needs are handled in the best way possible for attracting and retaining tenants. Monster Contractor’s Home Maintenance Service of Foothill Farms provides you with a proactive service to maintain the life of your rental or home to save you money before costly damages occur. Our goal in home maintenance is safeguarding your personal home or investment property against disastrous situations that could have been prevented. Preserve the long-term value of your home and protect your family from any hidden dangers while saving thousands of dollars by taking advantage of our pro-active approach. Monster Contractor’s Foothill Farms home maintenance professionals provide customers with a detailed 190-point inspection of the interior and exterior of their home, for a low monthly or quarterly service fee. We understand that regular upkeep preventative care of a home can be time consuming for anyone with a busy schedule and a family to tend to. Even if you do have the time to regularly changing air conditioner filters, smoke detector batteries, and light bulbs, you may not know to check for internal issues such as loose light fixtures, bad wires, poor stair railings or dirty coils in the AC system. We can take over these responsibilities and free up your time to be spent with the people and activities that really matter to you.